This was a particularly nice walk – mostly sunny, warm but not hot, easy distance, some ups, some downs, interesting agricultural practices, and a few historical ruins scattered about. I caught up with and passed the Sisters early in the day. 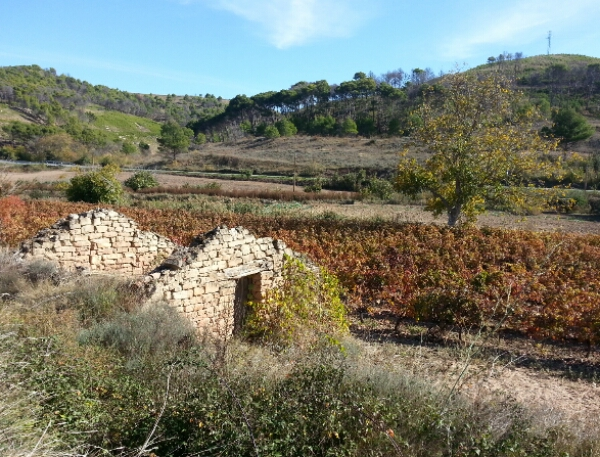 Beautiful day for a walk through autumn vineyards and olives. Taking care of necessities – feet up, cold beer from vending machine, washed shirt drying in the sun – in a garden area near the Municipal Albergue in Viana. 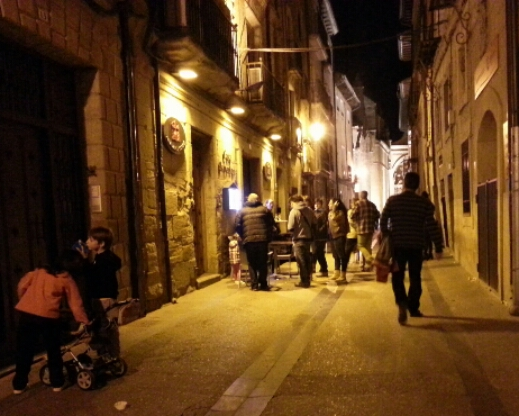 Finally, a typical evening in a Spanish town, everyone socializing in the street. 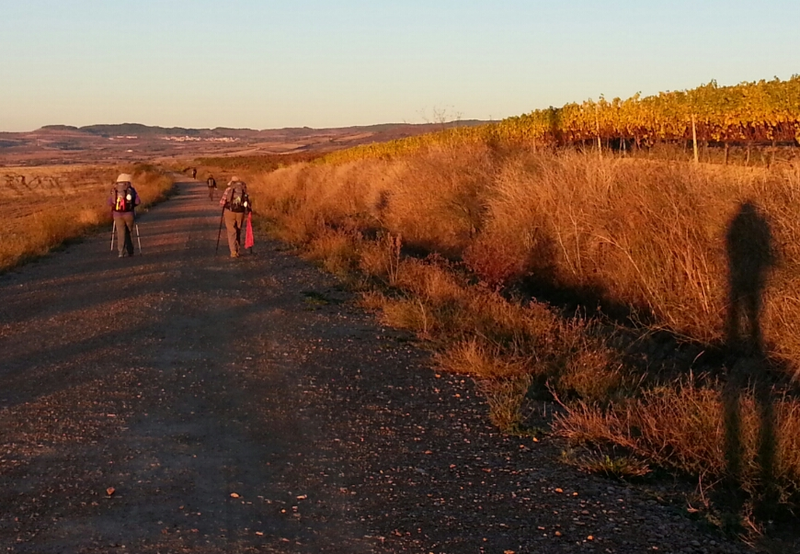 October 24, 2015 in Camino 2015.